First and foremost I want to wish each and every visitor of Meet the Beatles...for Real a happy New Year. I wish you only the best in health and happiness as we enter into 2017. I am aware that most of you out there had a terrible 2016. I want to extend my sympathies to you. I hope that this blog was able to bring a little of happiness into the gloom of the year for some of you. I had a wonderful 2016 and I feel a bit guilty saying that. But it is true. 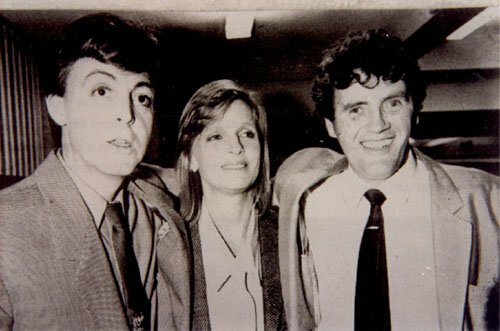 I was able to see Paul McCartney in concert twice as well as two Beatle sons. My book, "Happiness is Seeing the Beatles: Beatlemania in St. Louis" was published and I was on television and radio talking about my book. It was such an exciting year for me. A big thank you to each of you who sent me messages and emails and supported me in any way with my book. I appreciate it. I hope that all of us have a great 2017. It will be the 50th anniversary of Sgt. Pepper and the Summer of Love, which should be a lot of fun. I hope that Paul tours Australia this year because i think our friends Down Under deserve to see him again. As we say goodbye to 2016, I wanted to take a moment and remember those in the Beatle world that passed away this year. George Martin passed away on March 8, 2016. 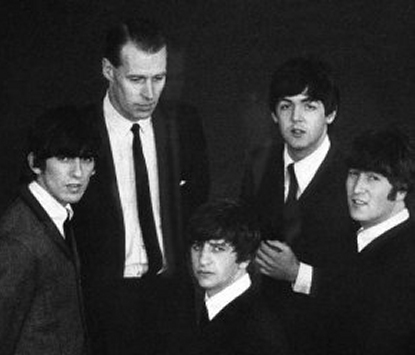 No one can say that George Martin didn't live a long and full life. However, the death of the Beatles' producer left all of us feeling empty and sad. His influence on the Beatles' music was huge and I know that we all are thankful for his contribution to their music and especially for taking a chance on them in 1962. George Martin will never be forgotten. Tony left us on May 14th. Tony was the Beatles' PR guy for a long time and traveled with them on the 1965-1966 tours. He was remembered in death as the guy that named the Beatles the "Fab Four." But I think he did so much more for the Beatles than just that. I always enjoyed the stories he shared on Beatles documentaries and specials. He had a unique relationship with the guys. As you know, Sam passed December 20th. Sam was a key figure in booking the Beatles concerts outside of the Cavern Club in the early days. He was also a fixture on the Liverpool music scene in the early 1960's. Henry is the only person on this list that wasn't connected to the Beatles, but to one of the guys during the solo days. But since this blog is about all aspects of the Beatles from birth until today, he needs to be on the list. 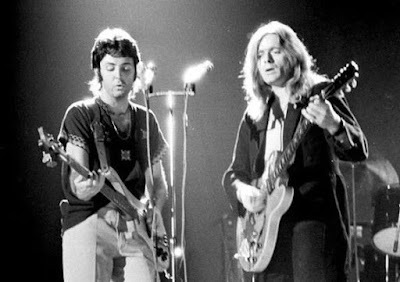 Wings guitarist, Henry McCullough passed away June 14, 2016. He was an amazing guitarist and helped shape Wings. He will always be remembered for his guitar solo on the song "My Love." Al passed away on Thanksgiving day, November 24th. I know that his direct connection with the Beatles is a bit far-fetched, but he is a part of the Beatles story. He was the creator of the Beatles cartoons and the Yellow Submarine. 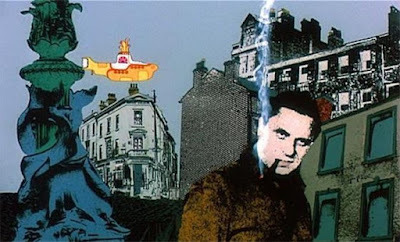 While he wasn't friends with the Beatles, his Yellow Submarine is an image that is going to live on forever and will always be connected with the Fab 4. Others we have lost this year that had a Beatles connection: Leon Russell, Carla Lane, David Bowie, George Michael, and Carrie Fisher. Prince might not have had a Beatles connection, but we felt the impact of his death in the Beatles community. May all of these individuals rest in peace and let their friends and family find comfort in knowing that a community of fans mourn with them. My best wishes again to each of you for 2017. Thanks for all the great postings. Thank you, Sara! I wish you & yours a wonderful 2017! Yes, it was a tough year for me too, in many ways, but I also had some great moments: my book, which was ready in December 2015, is almost sold out (I have 100 something out of 1000). Readers have sent me the most wonderful reviews, which really warmed my heart. I got to work as a consultant for an amazing exhibit in São Paulo called "Beatlemania Experience". It's gorgeous, and we will be touring the country with it in 2017. I got to travel to São Paulo several times for the BE and to Belo Horizonte twice, for the two BH Beatle Week events this year. So my year was very Beatly! All the best to everyone who reads this fantastic blog! Prince played the guitar solo on While My Guitar Gently Weeps for the Rock Hall of Fame Harrison induction. Although Prince apparently had never heard the song before he was asked to play it. Sara: The bad news may be continuing. Lizzie just emailed all her friends to say that Roag Best posted on his Facebook page that Allan Williams passed away today. I can't believe that we've lost two legendary figures of the early 1960s Merseyside music scene -- and two people critical to the early Beatles' development as a group -- in a matter of days. First Sam Leach and now Allan Williams. I think that's either a comment on all dearly departed in 2016 or the political scene in the US. I hear in one of Trump's briefings in the White House, the secret service told Donald, "Mr President, whatever you do, don't push this button!" What I know, off the top of my head, Paul did a duet with George Michael, Heal the Pain (good song), and Sean Lennon was a close friend with Carrie (and Debbie Reynolds). Regarding connections, have you seen the handwritten letter from Paul to Prince currently on sale on Ebay UK?